Earlier this week, the temperature was in the low 70's and my fall-loving heart was about to explode. Goodness, it felt amazing to open the windows and let the cool breeze waft in while burning my Autumn Afternoon apothecary candle. Since we bought a house and we'll be moving in the middle of September, I haven't been able to decorate for fall. And y'all know that under any other circumstances my house would already be spruced up with all things autumn. Just see last year's décor and the year before that. I've always been and always will be a mid-August fall decorating kind of gal. Well....except this year because my house is full of boxes and everything is packed away. 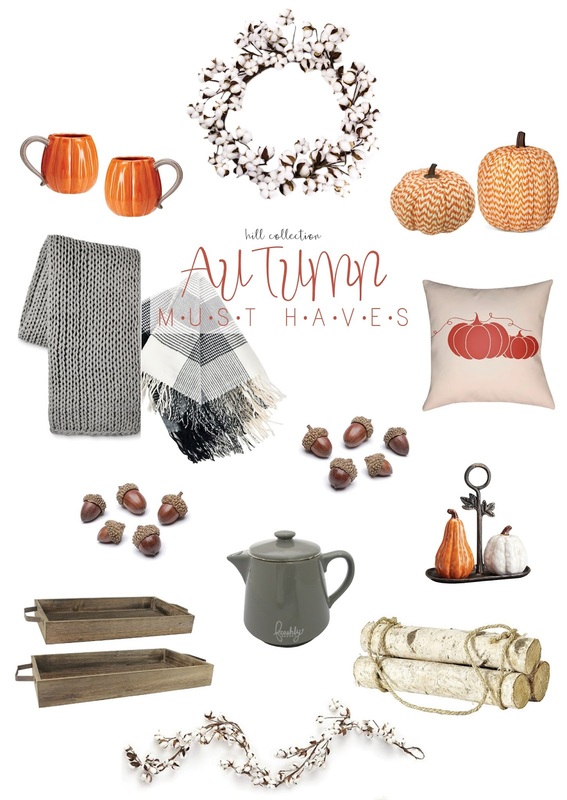 But, that hasn't kept me from dreaming of fall and how I'll decorate my new house! To bide my time, I put together some of my very favorite items for making things all cozy and fall-like in your home. From blankets for wrapping up in and cotton garland for draping over your mantel to a carafe and mugs for sipping your pumpkin coffee, I've got you covered on the essentials. And here are some fall pieces that aren't pictured, but that I absolutely adore! **Affiliate links were used within this post. That means if you clicked one I might make a small commission.